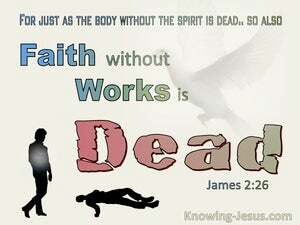 The maturing Christian must not only speak the truth in love, but practice their faith in every aspect of their life. 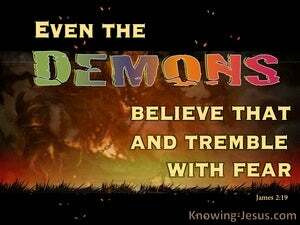 We are to live the truth of the glorious gospel of Christ in each and every situation that may arise. 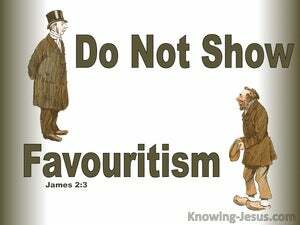 There is no shadow of turning with the Lord, and the elderly apostle Peter is one who rehearsed this truth with the fledgling church at the first council in Jerusalem: that God shows no favouritism. 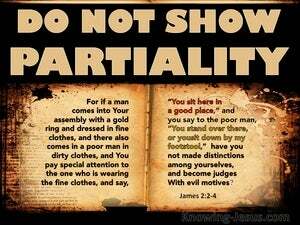 Paul later reinforced this truth by reminding us that: that there is no partiality with God... and warns that, whoever does wrong will receive the consequences of the wrong which he has done, and that without partiality. 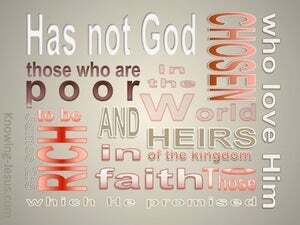 God has no partiality for He is equally as desirous to save the rich as the poor, the female as the male, the gentile as the Jew the old as the young, and yet James here seems to imply that God gives special favour to those that are poor, in respect of the riches of this world. How could this be? 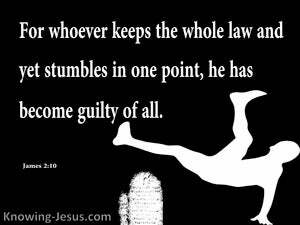 James reminds us that: whoever keeps the whole law and yet stumbles in one point, has become guilty of all, which appears to be at odds with the teaching of Paul, who insists that we are not under Law but under Grace. When reading the Bible, it is always important to identify the context in which it is written, or the person, group of people or nation to whom it is addressed. 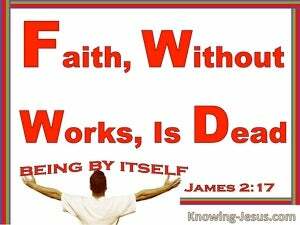 James makes it clear, right at the beginning of his epistle, that he is writing his letter to Church-age believers. However, we also note that he particularly addressed those from the 12 tribes of Israel - who had been scattered among the nations, during a time of severe persecution. 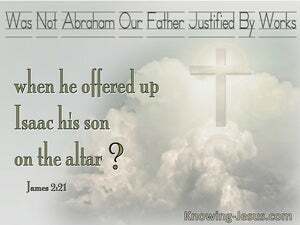 One of the most controversial verse in James, if not in the New Testament is James 2:21 which states, "was not Abraham our father justified by works when he offered up Isaac, his son, on the altar?" 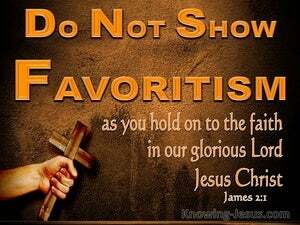 This verse has caused consternation in the Church and division in denominations. 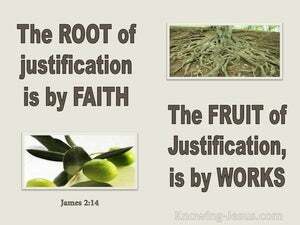 The question continues to rage and appears to contradict Paul's teaching - we are not justified by works.. but by faith in the finished work of Christ on the cross.